In Oklahoma, a police association is lobbying local lawmakers in an effort to allow police officers to carry their own, privately purchased weapons on the job. 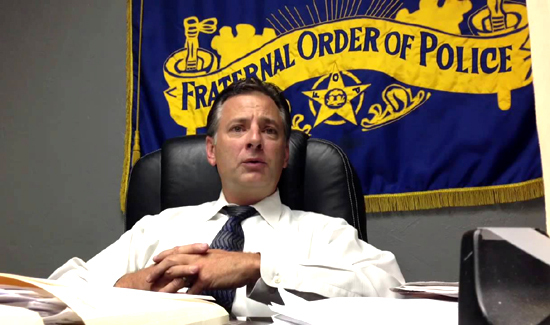 In a letter to Police Chief Bill Citty, Oklahoma City FOP President John George demanded action. “The Oklahoma City Fraternal Order of Police respectfully pleads with you and our city to allow officers to be properly equipped for these types of situations. We are asking that officers be allowed to carry personally owned rifles to protect themselves and our citizens. Allowing our officers to carry rifles could help end a dangerous situation sooner and save innocent lives,” George wrote. George said after polling members of the union, he received an “overwhelming response” that officers are willing to purchase their own rifles and ammunition if necessary. It’s unclear if this is a temporary measure suggestion or part of a larger series of changes. As policing in the United States continues to be privatized at breakneck speed, it’s not hard to imagine that soon will come the day when officers buy everything they use on the job on their own dime. It’s very similar to the transition from traditional police training at the academies and the kind of for-profit, privately run training programs that have become so popular among law enforcement and civilians alike.